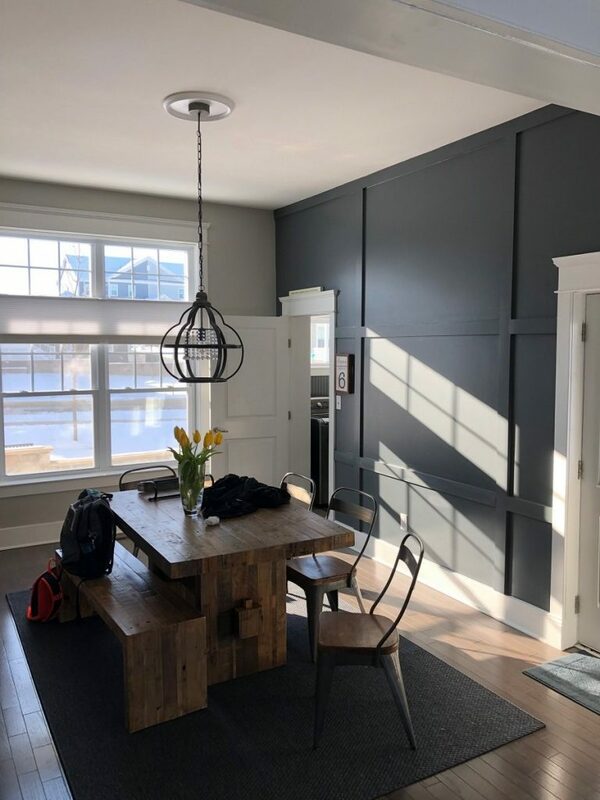 A fresh coat of paint is one of the most cost-effective ways to spruce up a home. This can breathe new life into a room and revamp the entire interior. 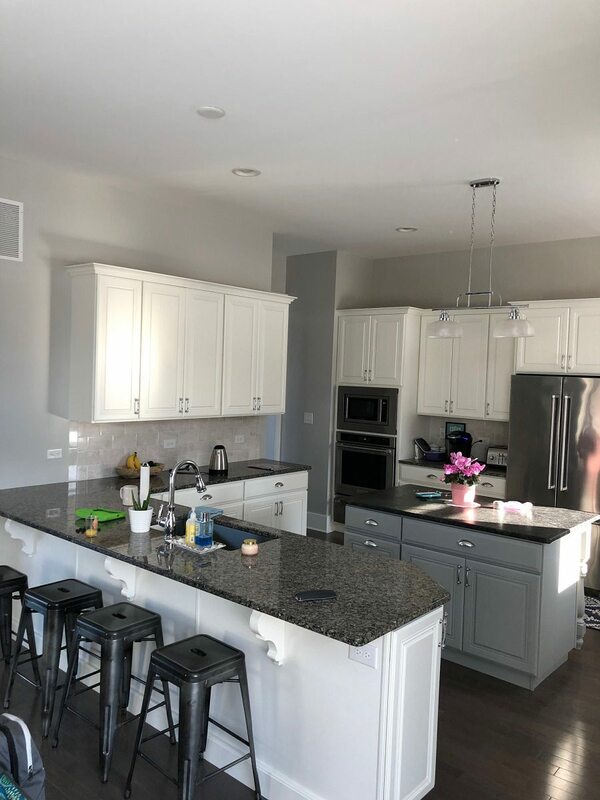 Our client’s newly constructed Malvern home had major curb appeal, but the interior builder-grade paint was starting to flake. After deciding that it was time for an upgrade, they called LaffCo. Painting knowing they’d be in good hands! 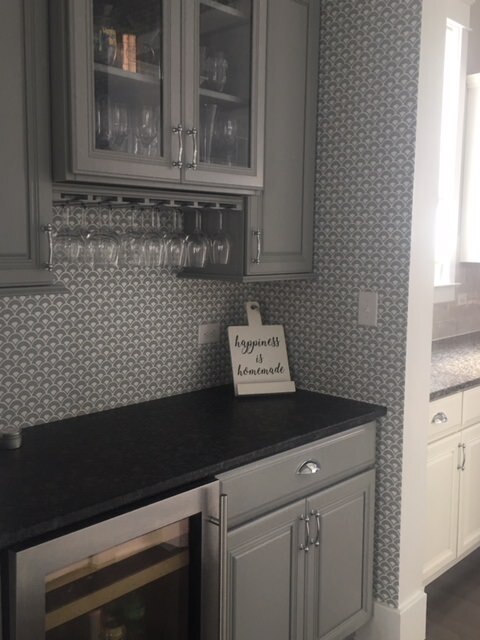 We went over ideas for new wallpaper and paint colors, and the homeowners chose a classic gray color scheme – perfect for a modern home! 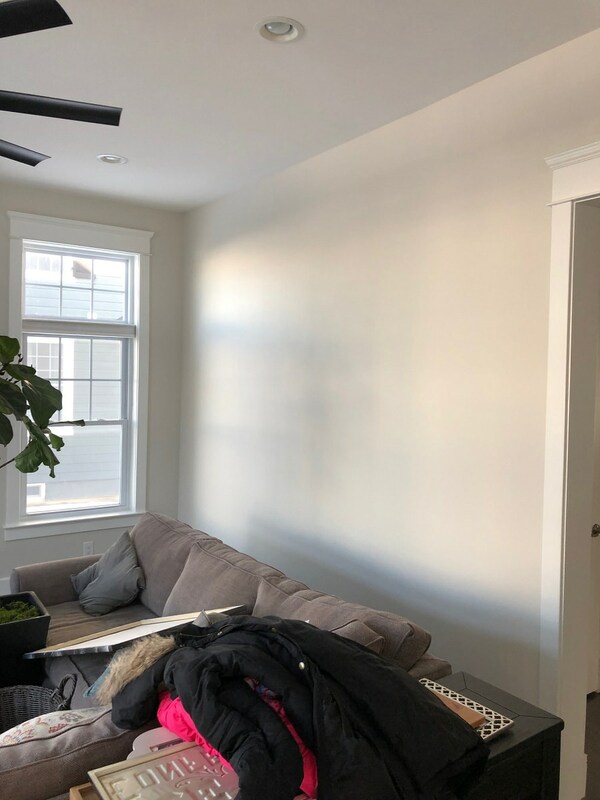 Once plans were finalized, we scheduled to come in soon after so our client could enjoy their beautiful new walls right away. 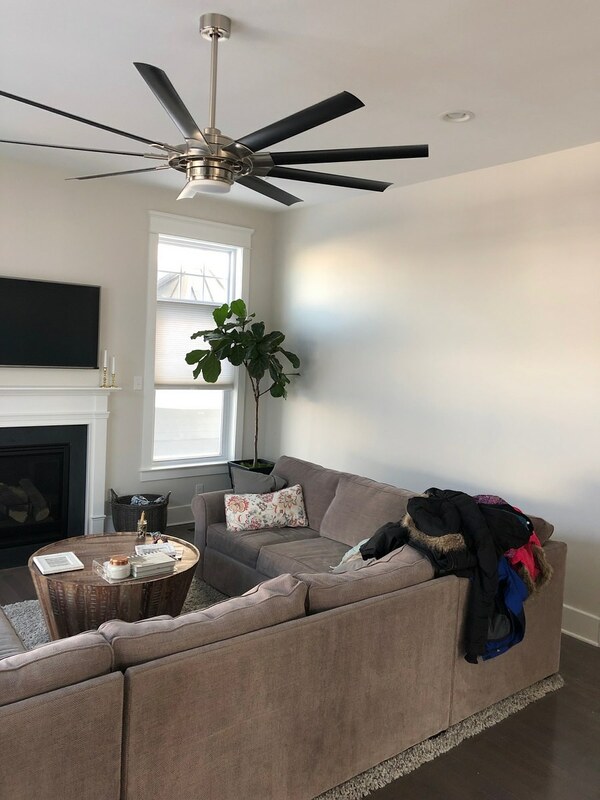 Our team headed over to Malvern on a sunny afternoon and started working on the master bedroom. 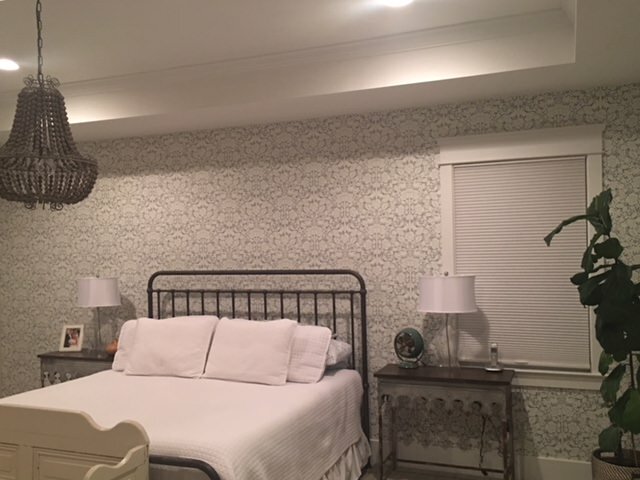 We created an accent wall with classy Magnolia Home patterned wallpaper, which complemented the elegant chandelier in the room. 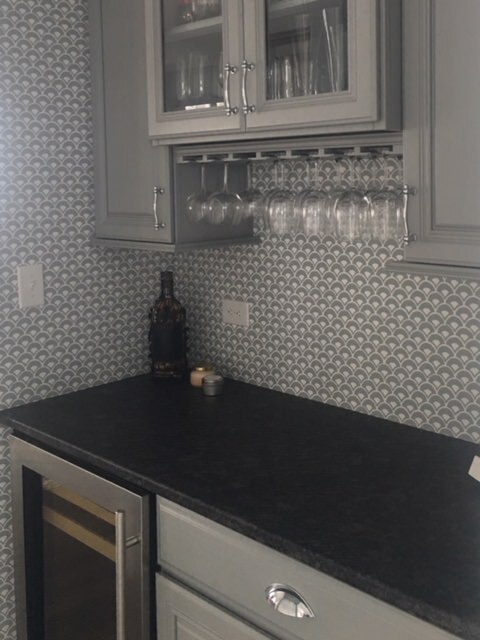 Keeping to the theme, we put up Magnolia Home wallpaper in the butler pantry as well. 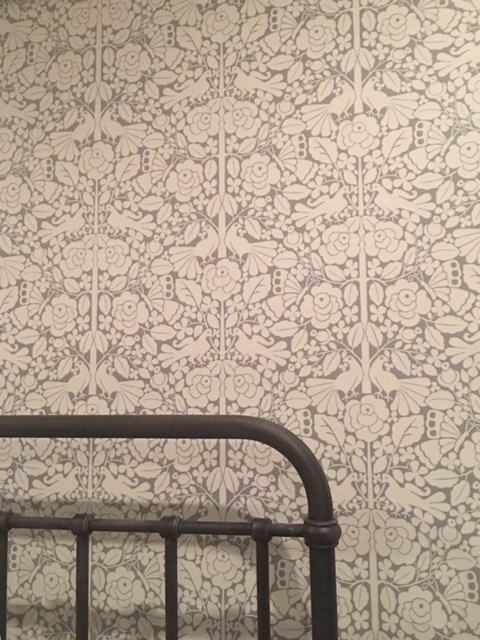 The wallpaper instantly breathed new energy into both rooms, proving that fresh walls go a long way! Next, it was on to the painting! Neutral colors were used in the rest of the rooms, allowing other elements like decor and furniture to stand out. 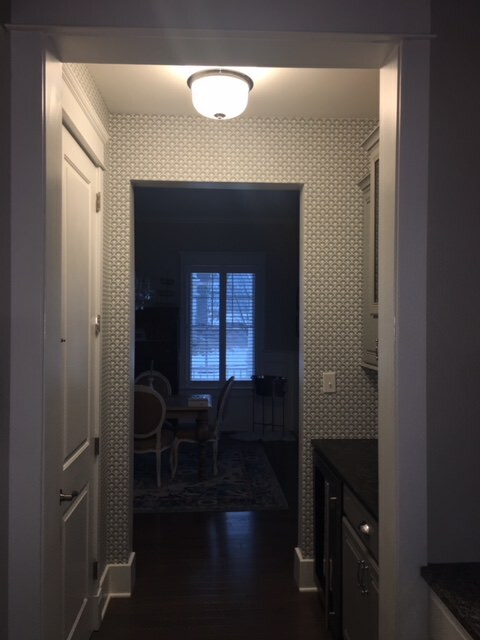 The dining room and laundry room were given a fresh coat of Sherwin William’s Repose Gray. 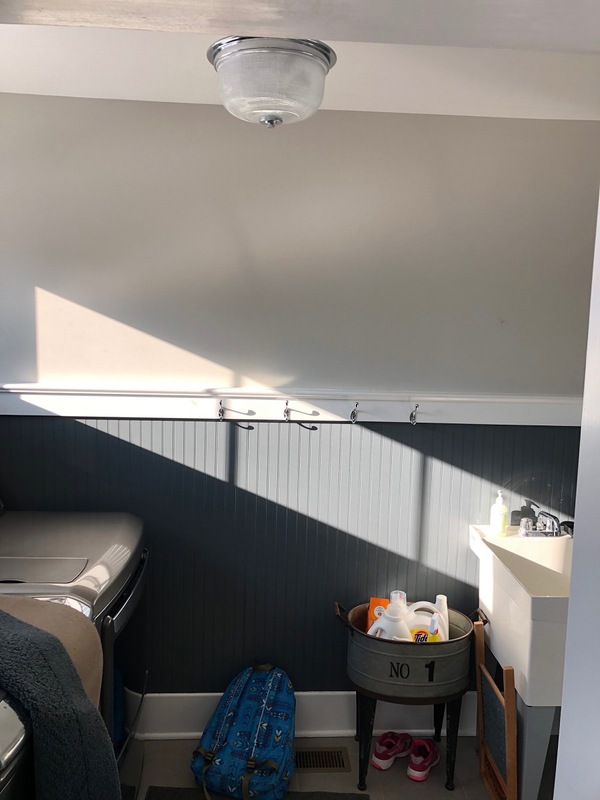 The sunlight really highlighted the silky texture of the paint so the rooms looked newer than ever! 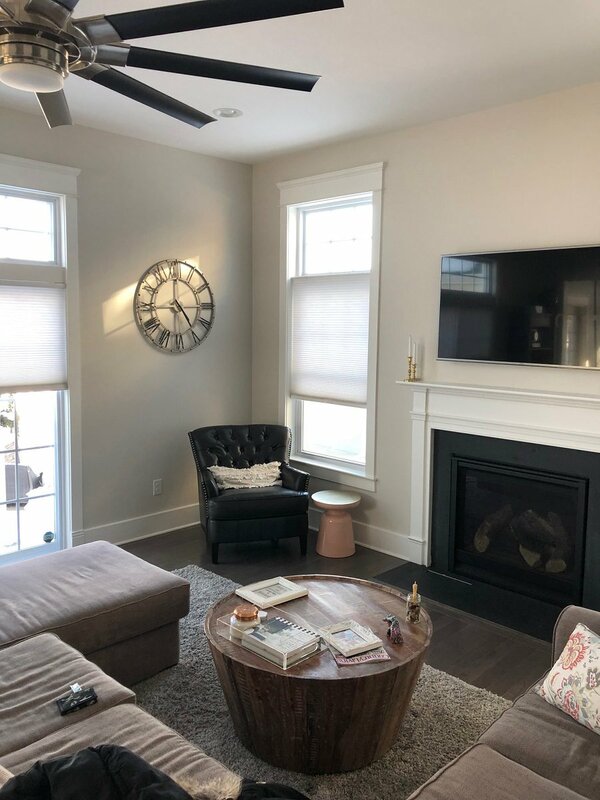 Drift of Mist by Sherwin Williams added extra warmth to the family room and opened up the space. 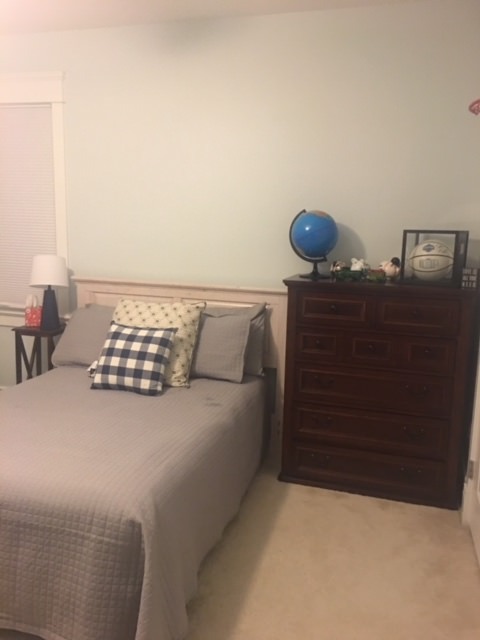 Light neutrals do an amazing job at creating a spacious atmosphere, so we painted the boy’s room in Topsail. 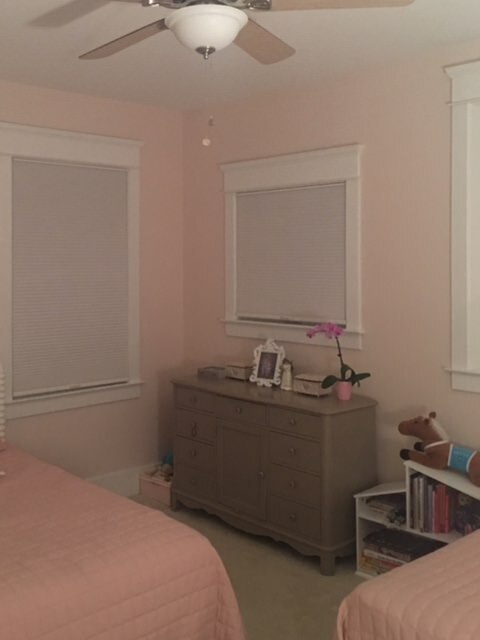 For the final touch, the walls in the girl’s room received a splash of coral, because why not keep it fun! 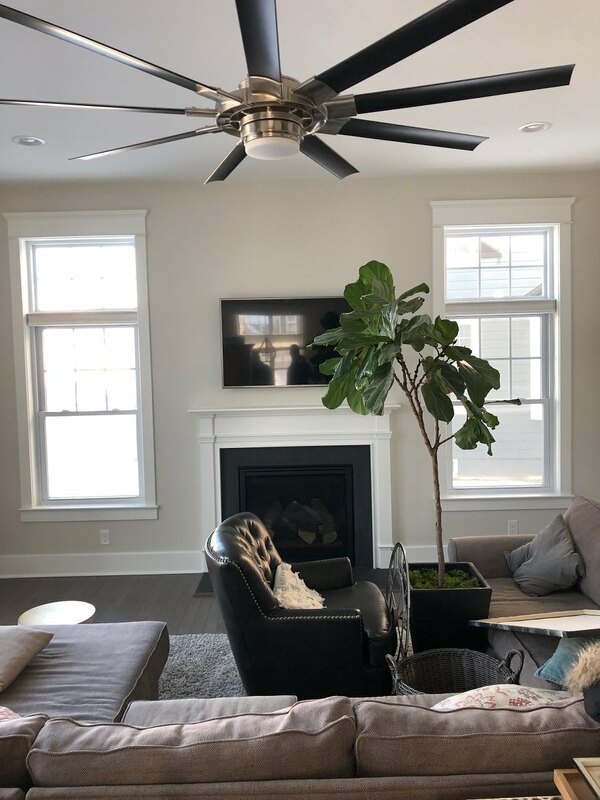 All the rooms look fresher than ever and the homeowners couldn’t be happier! This goes to show that walls can really be the ‘wow’ factor of a home! Dreaming of revamping your interior? Get in touch with LaffCo. Painting for a free painting quote today!